through miasmal and mysterious swamps and down into a desert of red rock. “The road of life twists and turns and no two directions are ever the same. Yet our lessons come from the journey, not the destination.” Don Williams , Jr. I love great quotes! Thanks again! This is my favourite and the way I prefer to travel …. 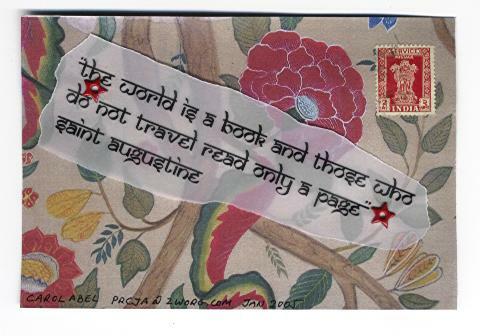 A wonderful list of travel quotes here. I love quotation and have hundreds of pages of them organized in a huge computer file —and many more unorganized ones. Since I lived in Brazil, I have always encouraged everyone to travel, but even better, to live abroad. While I lived in Brazil, I learned to appreciated the opportunities my own country afforded me, while at the same time, seeing my country from a different point of view forced me to see flaws that I would never have seen at home. I also realized that no one country or culture is better than any other. They’re just different. Many people think Twain lived in Hannibal, Missouri all his life, but he only lived there for about 10 years. From his late teens to the end of his life, he lived in many places in the U.S. —from NY City to San Francisco —and later traveled and lived many years abroad (Germany, Italy, France and the UK included.) During his lifetime, he was known as much for his travel books as for his novels. Thank you for the links. Your time in Brazil must have been an extraordinary but valuable learning curve. I wasn’t aware Mark Twain had visited Turkey, obviously not an easy customer to satisfy!